Valhalla joined TG on the 22nd of January, 2017, Currently, working in both PUBG as a Brigade Commander and the PRO as Social Media Team Lead. After joining the PRO as a Social Media Team Member back in March under TG Fireflex and made a name for himself managing the Youtube and Twitch end of things, making him SMTL was a easy decision. From the moment Valhalla took charge of the Social Media Team on the 7th of May, he has displayed an exemplary example of leadership, dedication, commitment, timelessness and enthusiasm to the continued success and growth of the Social Media Team and Public Relations Office as a whole. Valhalla conducts himself with the highest degree of professionalism by looking after the stream team and the social media team, catering for their every needs and ensuring their success and that all requests are met within a timely manner. Valhalla has also assisted greatly in various projects within the PRO, whether it be the creation of the Streaming Resource Guide, Processing and interviewing each applicant. Actively seeking ways to improve every aspect of TG and promoting the very essence of TG through the Social Media. The Public Relations Office would not be in the shape it is now nor would the TG Twitch channel be so well managed and organised with out his outstanding skills and talent. His efforts do not go un-noticed and his dedication, hard work and leadership essence reverberates through our community. It is with great pleasure to award TG Valhalla with the Public Relations Achievement medal and Tactical Gaming Achievement medal. 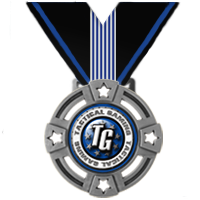 This is to certify that TGxP1nkM1st is being awarded the Tactical Gaming Public Relations Achievement Medal for his efforts in the Public Relations Office as a Social Media Team Member (Stream Team). To say the efforts of P1nkM1ist is going above and beyond is an understatement. From day one of joining the stream team P1nkM1st has been a constant fount of ideas. He has brought ideas to the stream team to better serve our community across all platforms and is always the first to volunteer to help execute the ideas. Above all, P1inkM1st has furthered Tactical Gaming in the gaming community by establishing a relationship with Ammobox Studios, a new subsidiary of Hi-Rez studios. P1nkM1st has negotiated with the CEO of Ammobox and made it possible for all members of Tactical Gaming to get beta access to Ammobox’s upcoming game, EXIMIUS: Seize The Frontline. This not only furthers TG’s interests in the gaming community as a whole, but also brings a game that could be a potential division to the hands of every member of the community. P1inkM1st’s actions with Ammobox Studios gives great credit to himself and reflects an amazing image of not only the Public Relations Office, but TG as a whole. 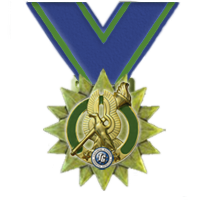 With P1inkM1ist’s actions to further the Tactical Gaming cause and being a point of contact to a gaming studio he is enthusiastically recommended for the Tactical Gaming Public Relations Achievement Medal! Given under my hand Tactical Gaming Executive Committee and Public Relations Office on this 5th day of September 2018. Congrats P1nk and Val. Definitely well earned. 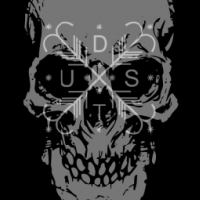 You guys are doing an awesome job -- good to see this recognition of it! Gratz Val!!!! And TY I shall continue to bring honor to our community. Thanks, buddy! and congrats to yourself! You definitely earned it! I shall be editing my original post, and deleting this one too, after you have had a suitably short time to bask in the glory of my praise. Any screen grabs will merely be countered with cries of "Photoshop! Photoshop!" Congrats to you both on this amazing achievement. Some serious impact has been created by you both. Well deserved.